Paved road frontage on Valle Vista! 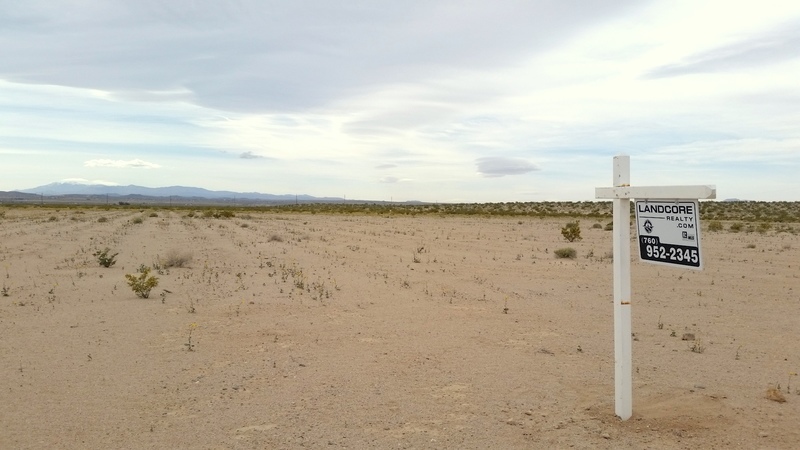 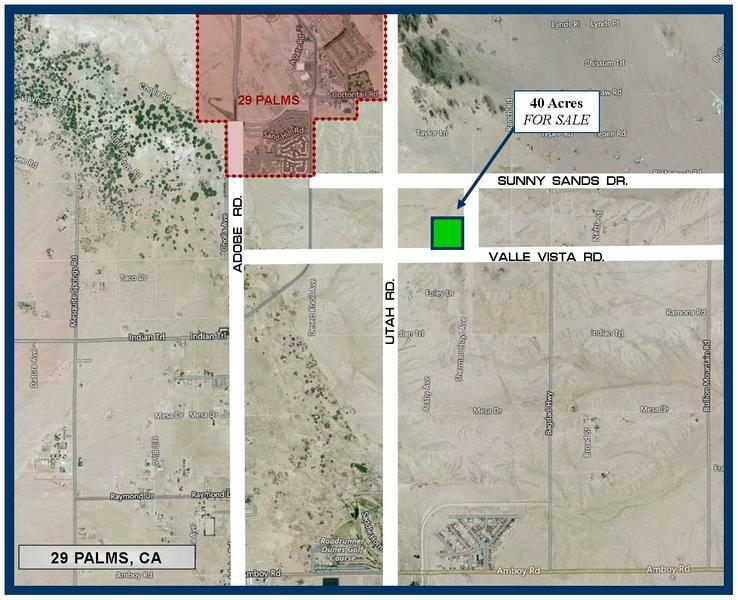 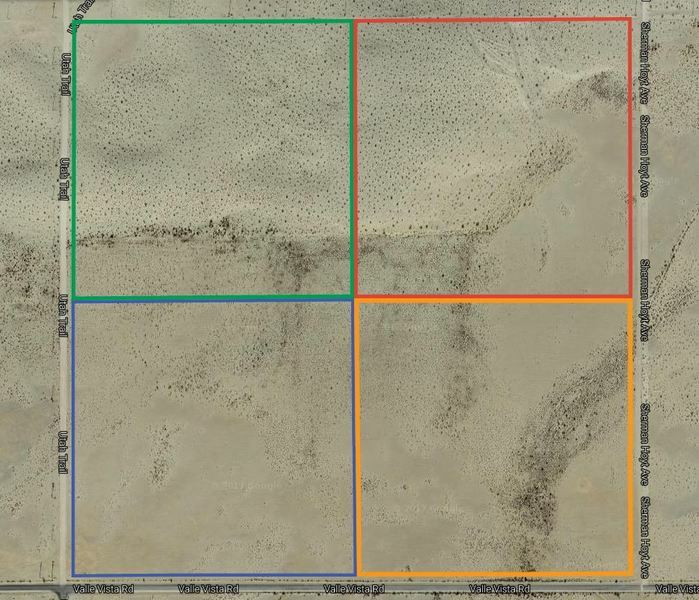 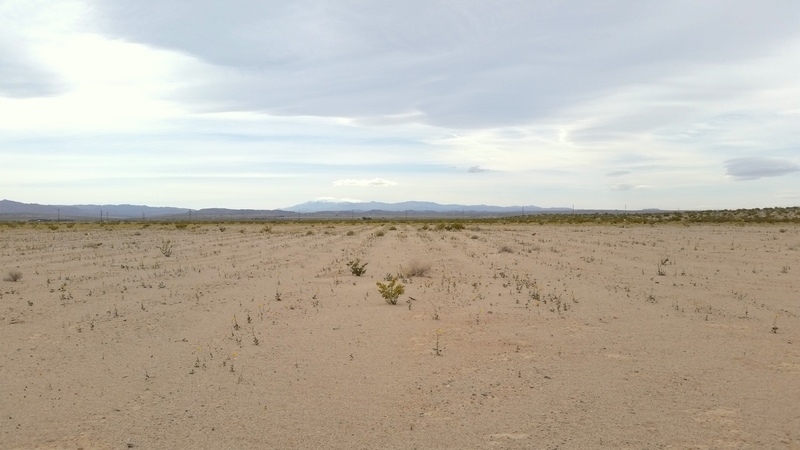 This is one of four adjacent parcels offered for sale in Twentynine Palms, CA. 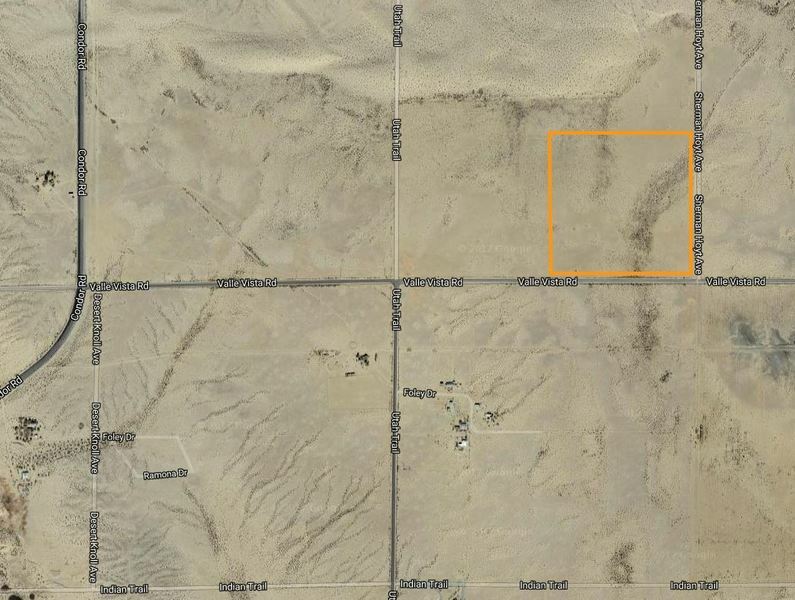 Twentynine Palms is located in San Bernardino County north of Palm Springs and east of Joshua Tree along Highway 62. 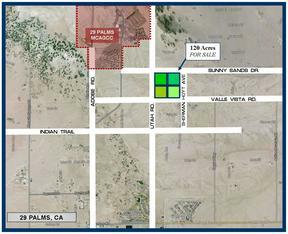 The property sits 1.6 miles southeast of the entrance to the Marine Corps Air Ground Combat Center Twentynine Palms. 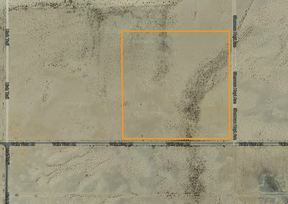 There are four adjacent parcels, totaling a gross 160 acres (150 net acres with easements) that are offered for sale. 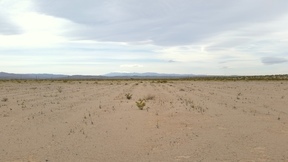 An additional 40 acres .2 miles south can also be purchased with the others bringing the total 200 acres. 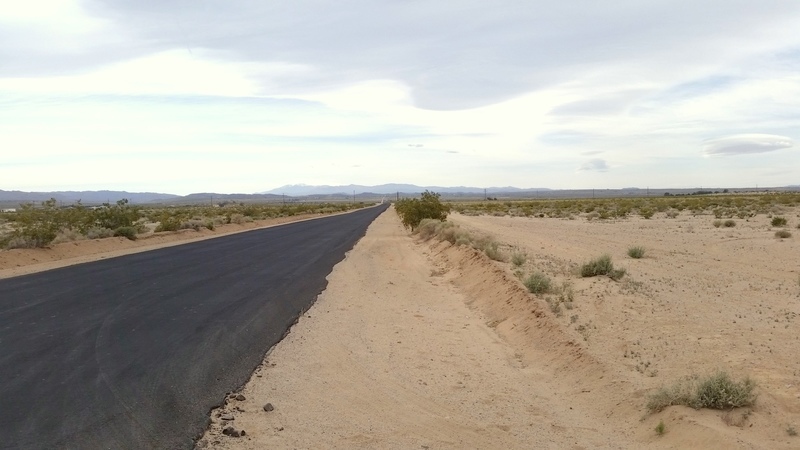 The properties have easements to main paved roads and electricity along the northern road (Sunny Sands Dr) and western road (Utah Trail) and Sunny Sands Dr.
Financing Available! 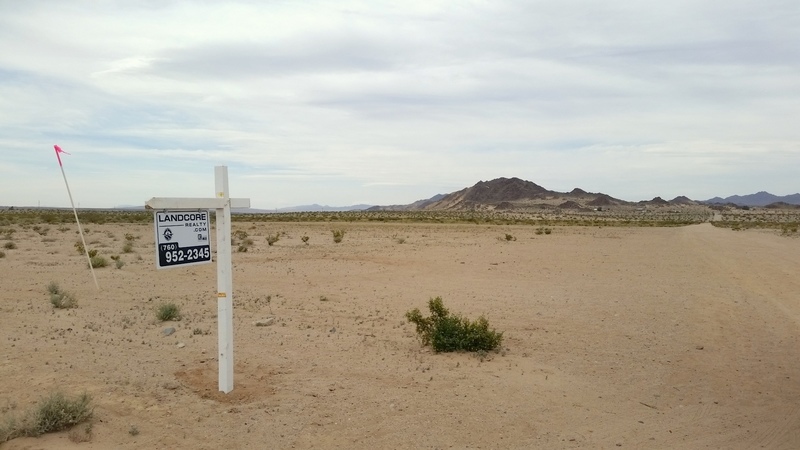 Your down payment is your qualification! 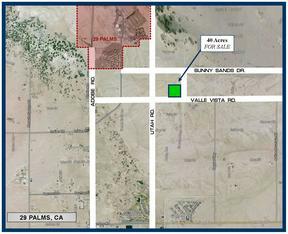 Owner will carry with $7,842 down, a loan of $18,298 at 7% interest for 10 years. 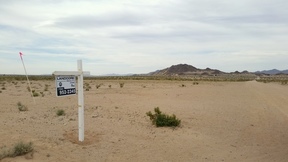 Monthly payments are $212.46 with no prepayment penalty. 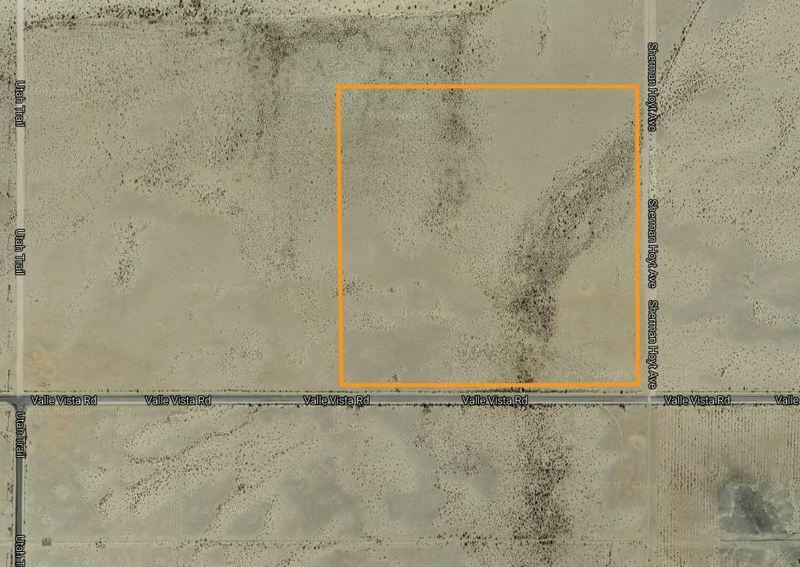 Directions From Highway 62 and Adobe Rd: head north along Adobe Rd. 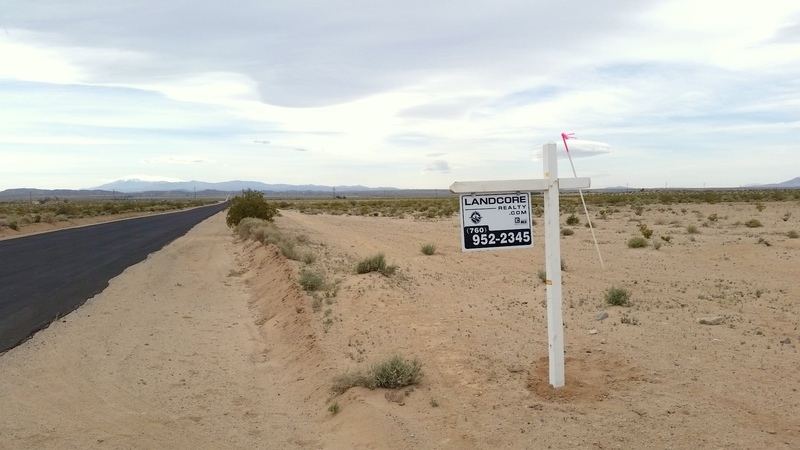 for approximately 3.6 miles, turn right onto Condor Rd. 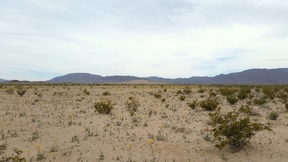 and turn right onto Valle Vista, continue .8 miles. 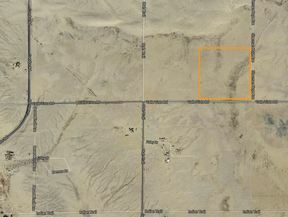 Property is on your left. 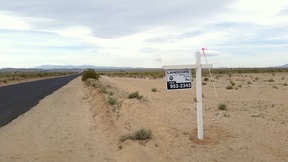 Marked with ten foot white PVC poles with pink tape. 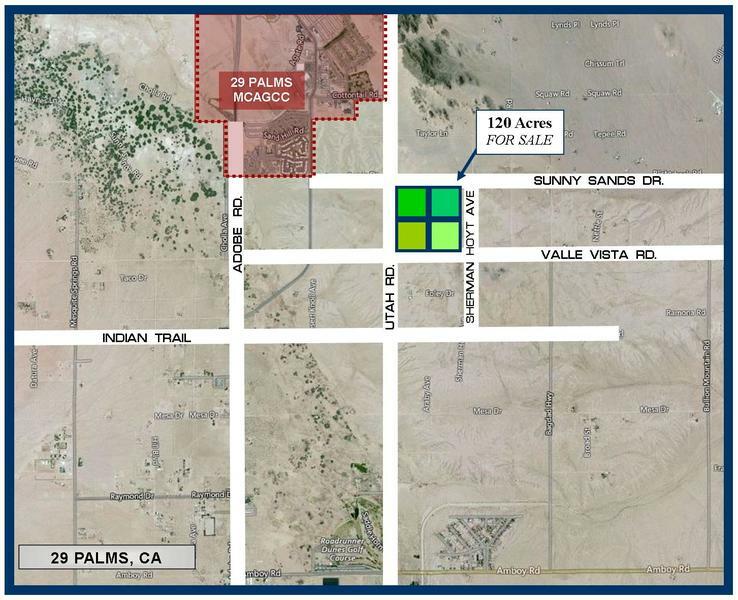 11 The Twentynine Palms Marine Base is currently home to one of the largest military training areas in the nation. 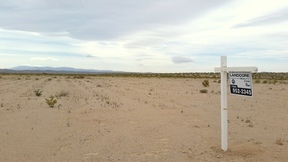 The city itself also encompasses the north entrance to Joshua Tree Nation Park, the park headquarters and the Oasis Visitor Center.